HURRY! Open Enrollment for our State Preschools is June 4-15 for the 2018-19 school year. . Be sure to pick up a packet at one of our preschool locations or at our main office at 1313 N. Norma. Call 760-499-1770 or 760-499-1772 to make an appointment. High Desert Leapin' Lizards' corporate office has changed locations. We are back on Norma, just a few doors down from our old location, at 1313 N. Norma! Our phone number is the same (760) 499-1770, as is our email: admin@hdllrc.org. Please email job applications to lcoffee@ssusd.org. High Desert Leapin' Lizards' is a registered 501(c)(3) non-profit organization founded in Ridgecrest, California in 1995. The mission of High Desert Leapin' Lizards is to provide quality services and resources that support youth and families in the community. 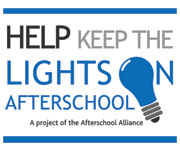 High Desert Leapin’ Lizards provides free half-day preschool programs for 3 and 4 year olds and free afterschool programs for elementary school students at Faller Inyokern, and Pierce Elementary Schools. We are a human health and welfare organization governed by a Board of Directors. High Desert Leapin' Lizards' goals are to enrich the lives of the kids and families who participate in our programs and to support the capacity to increase resources and services for families within our community. We invite you to explore our site and learn more about our work with children and families in Ridgecrest, California. 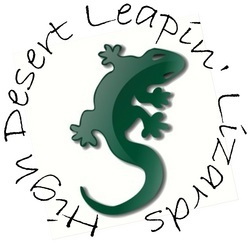 High Desert Leapin' Lizards was awarded the Jhumki Basu Foundation Special Focus Award for the Partnering for Excellence: Innovations in Science, Technology, Engineering and Math Education competition. The U.S.-based competition—hosted by Carnegie Corporation of New York, The Opportunity Equation, and Ashoka Changemakers®—is sourcing innovative solutions for bringing STEM professionals into schools to offer their talent, knowledge, and real-world skills to students, in partnership with their teachers and schools. This recognition is a result of the strong partnerships that High Desert Leapin’ Lizards has with Sierra Sands Unified School District, Cerro Coso Community College, and Naval Air Warfare Center and its Educational Partnership agreements and staff.